National Security Agency (NSA) Director Mike Rogers and Director of National Intelligence (DNI) Dan Coats have both denied that US President Donald Trump put pressure on them to intervene in investigations into possible collusion between the Kremlin and the Republican’s election campaign. “In the three-plus years that I’ve been director of NSA, I have never been directed to do anything I believe illegal,” he said. 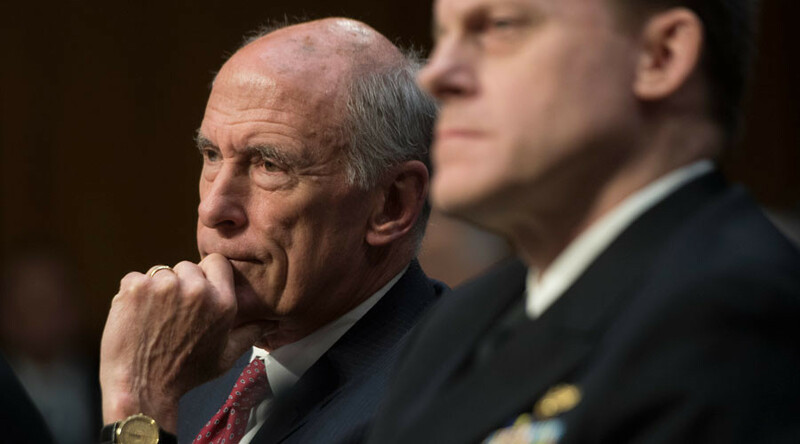 Pressed on the matter, DNI Coats also denied he had been pressured by Trump. “I have never been pressured, never felt pressured, to intervene or interfere in any way, with shaping intelligence,” he said. Key US intelligence figures, including Coats, Acting FBI director Andrew McCabe and Deputy Attorney General Rod Rosenstein, testified before the Senate Intelligence Committee. While much of the hearing was spent on Russia-related questions, its official purpose was to get the intelligence community's feedback on the fate of the controversial Section 702 of the Foreign Intelligence Surveillance Act (FISA), which allows government agencies like the NSA to carry out electronic surveillance without a court order. FISA was first enacted in 1978 and has continuously been amended. Section 702 is up for reauthorization in December and will require the support of Congress to continue. Renewal of the surveillance initiative is the “intelligence community’s top legislative priority”, he said, adding later information gained through 702 spying has saved "hundreds of lives." If 702 expires, “I would fully expect leaders of our closest allies to put out one loud scream,” Rogers said. Rogers and Coats both explained multiple times that Section 702 explicitly prohibits surveillance inside the US or of US citizens, and only relates to foreign targets abroad. Information about US persons that comes up in course of surveillance is passed along to other agencies only if it involves potential criminal activity or immediate threat of harm, Rogers told Senator Richard Burr (R-North Carolina). In every other case, “we purge the data,” he said. Senator Tom Cotton (R-Arkansas) has proposed a law that would permanently reauthorize Section 702 as it currently stands, without "sunset" provisions. All four witnesses said they were very enthusiastic about it. Democrats on the panel were more interested in press reports about Trump's alleged conversations with former FBI Director James Comey, but Coats and Rogers both declined to answer questions about such conversations, saying it would be inappropriate in an open setting. Acting Director McCabe told the committee that the FBI continues to investigate Russia “in an appropriate and unimpeded way,” adding that Comey's firing has had no effect on the investigation. 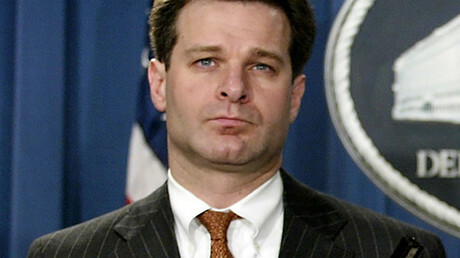 Trump announced Wednesday that he is nominating Christopher A. Wray as the bureau’s new director. The news comes just a day before Comey is due to appear before the Senate Intelligence Committee. Comey is expected to answer questions about the president’s alleged links to Russia and reports that Trump tried to quash the investigation into possible collusion between his campaign and Russia.